Location: Zambeze Delta Safaris is a safari company based in Hilton offering Big Five and plains game in diverse landscapes of South Africa. About your host at Zambeze Delta Safaris: Mark and Paula Haldane, Owners. Mark and Paula started Game and Bird Hunters Africa in 1986. Paula managed the camps while Mark did the guiding. From humble beginnings with a Guide, Camp Manager, a Cook, a Tracker and a Skinner, the company has now grown to include 11 Guides, 2 Camp Managers, an Operations Manager and 60 Camp Staff, trackers, skinners and cooks. In 1997 Paula opened Zulu Wings Game Lodge. Paula developed the idea of couple’s wingshootingtrips. While Mark took the men bird shooting, Paula designed a daily program for the non-shooting spouses. To this day she still does a couple of groups each year. Apart from the big game hunting, Mark is passionate about Wing Shooting. Mark started Bird Hunters Africa and has run it for the past 24 years. Guiding bird shooting safaris with his ever-present guns dogs is a personal favourite. In 1986 Mark received his Professional Hunter’s License and Outfitters License. He slowly built Game Hunters Africa up to where it is today. Assisted by a great team, Game and Bird Hunters Africa has a remarkable 86% repeat clientele rate. Mark has guided in all of Southern Africa’s countries and as far afield as Tanzania, Canada, Romania, Alaska, Uganda, New Zealnd and Australia. ­­­­­­Hunting experience at Zambeze Delta Safaris: We offer all of the Big Five and 37 species of plains game in a variety of habitats stretching across South Africa, Botswana and up into the Zambezi Delta of Mozambique. South Africa operates on a theory of sustainable game utilization, and our areas all follow this in practice, enabling us to take excellent record book trophies year after year. When it comes to the hunting of dangerous game nothing comes close to Africa, the dark continent has an abundance of game but none more well known that the Big Five namely elephant, lion, cape buffalo, leopard and rhino. Hunting the dangerous game of Africa is a dream of most experienced hunters there could be no greater challenge than to take on the likes of Cape buffalo in thick brush, stalking after a lion in the soft sands of the Kalahari, watching a leopard appear like a thief in the night over bait and walking up to the biggest of them all the mighty elephant were simply standing your ground is the true test of a man’s character. This romance between hunters and a formidable pray has attracted clients to Africa for decades there can be no greater test of a hunters skills than Africa’s dangerous game. Click here for quick link country guide. Click here for quick link country guide. 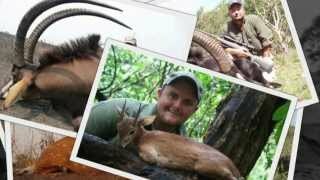 What are the fishing/hunting seasons in Kwazulu-natal, South africa? The services of a videographer, all tapes and camera equipment. Edited video in DVD format of your African experience. All the effects, running audio, music and all the highlights and thrills. To select and book the top suggested hotels and accommodation in the area when hunting at Zambeze Delta Safaris, click here. by car or public transport to Zambeze Delta Safaris.